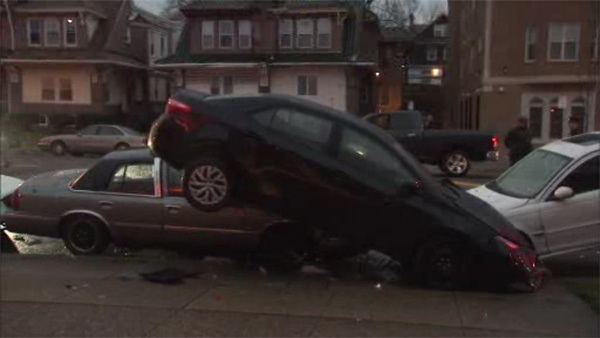 EAST OAK LANE -- One person was injured in a crash in Philadelphia's East Oak Lane section early Friday morning. It happened on Chelten Avenue near Broad Street. Police say the driver lost control and crashed then landed on top of two parked vehicles. The driver suffered chest pains and was taken to the hospital to be checked out.